Senior Kyra Rottgen returns to anchor the outfield this year. 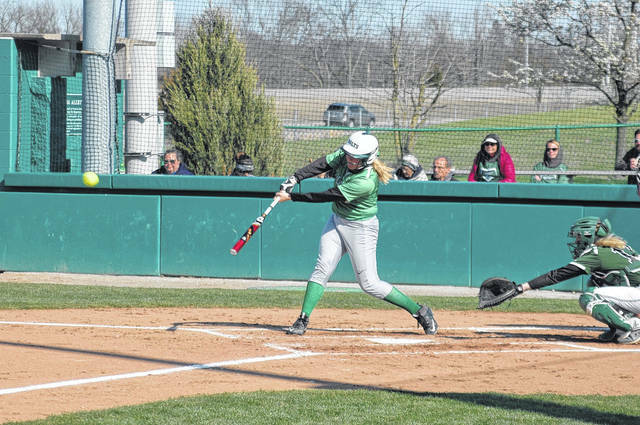 She is shown laying down a bunt last season at Wright State during a game vs. Greenville. Senior Kassie Keleman returns to the infield in 2019. 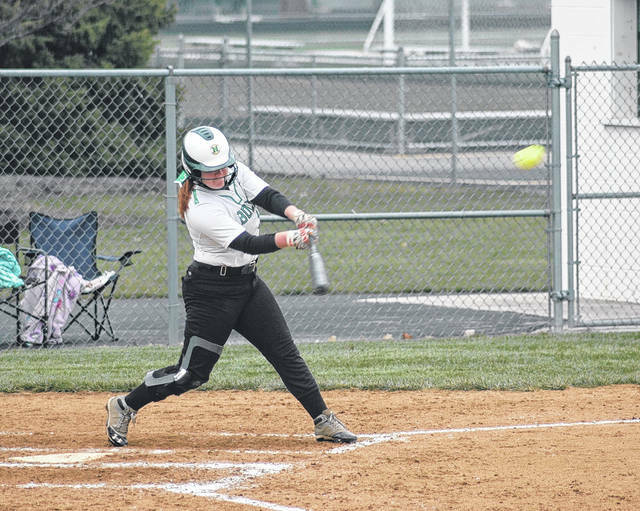 She is pictured stroking a base hit last season during a home game against Piqua. Junior D.J. Shepherd returns as an infielder this season. She is pictured belting a double down the left field line last season against Greenville. Hannah Seagraves, also a senior, returns to the infield and will also pitch. March 25 at Dale County 8 a.m. Gulf Shores, Al. March 25 at Houston Academy 11 a.m. Gulf Shores, Al. March 26 at Minor 11 a.m. Gulf Shores, Al. March 26 at West Point 2 p.m. Gulf Shores, Al. April 2 at Versailles 5 p.m.
April 4 Troy 5 p.m.
April 8 at Xenia 5 p.m.
April 10 Brookville 5 p.m.
April 11 at Preble Shawnee 5 p.m.
April 27 at Eaton 11 a.m.
April 27 at Eaton 1 p.m.
May 1 at Tippecanoe 5 p.m.
May 4 at Edgewood 1 p.m.
May 6 Northwestern 5 p.m.
CLAYTON — Just like the varsity baseball team, the Northmont varsity softball team is looking to bolster its program with several new faces in this year’s lineup. “We have four returning starters so we have a lot of new faces this year in our lineup,” said head coach Kris Mangen. Returning is senior left handed hitter and speedster Kyra Rottgen, who will see action in centerfield. Hannah Seagraves, also a senior, returns to the infield and will also pitch. Junior D.J. Shepherd returns as an infielder but she is on limited playing time to an ongoing injury. Senior Kassie Keleman also returns to the infield. As far as which player will be playing most of the positions Mangen said that is still up in the air. Seagraves and freshman Carmynn Bonner will handle the pitching duties. Junior Maddie Gilvin will play catcher and sophomore Megan Rasor is slated to start at second base. The shortstop position is still up for grabs while third base is being contested by two players. Aside from Rottgen in centerfield the other two outfield positions have yet to be nailed down. 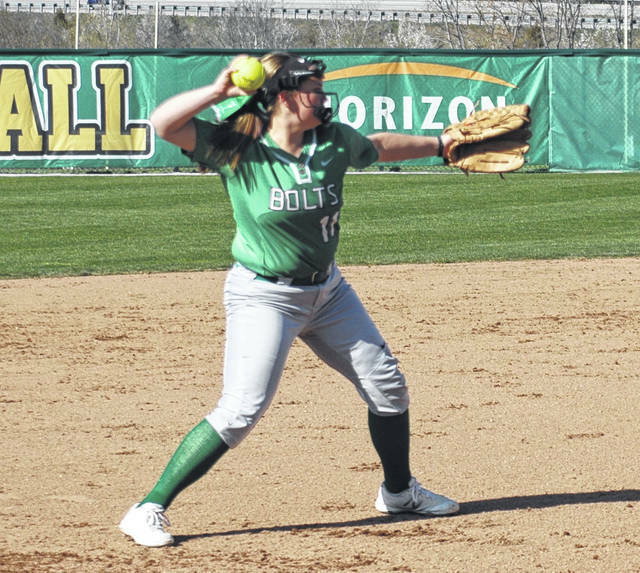 The Lady Bolts scrimmaged Tippecanoe on Monday and Milton-Union on Wednesday, both on the road and on Thursday the team practiced on grass without touching the infield dirt at all. “We will be going down to Gulf Shores, Alabama to face teams from Alabama that have already played 12 games, so they definitely have head start on us but that won’t be used as an excuse regardless of the outcome,” Mangen added. 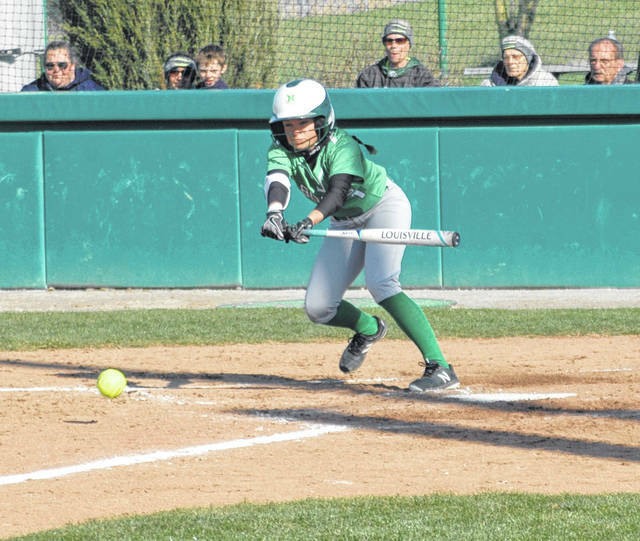 Northmont returns to Ohio to play at Versailles on Tuesday, April 2 and then hosts Troy on Thursday, April 4 and Beavercreek on Friday, April 5. Under coach Mangen, who is 492-155 entering her 24th season, the Lady Bolts have won 12 league championships, 17 sectional titles, seven district titles and one regional championship. She took over the program in 1996. She will be aided by longtime assistant coaches Tami Sterner and Matt Maiken and returning pitching coach Breanna Fisher as well as assistant Bethany Kincer.